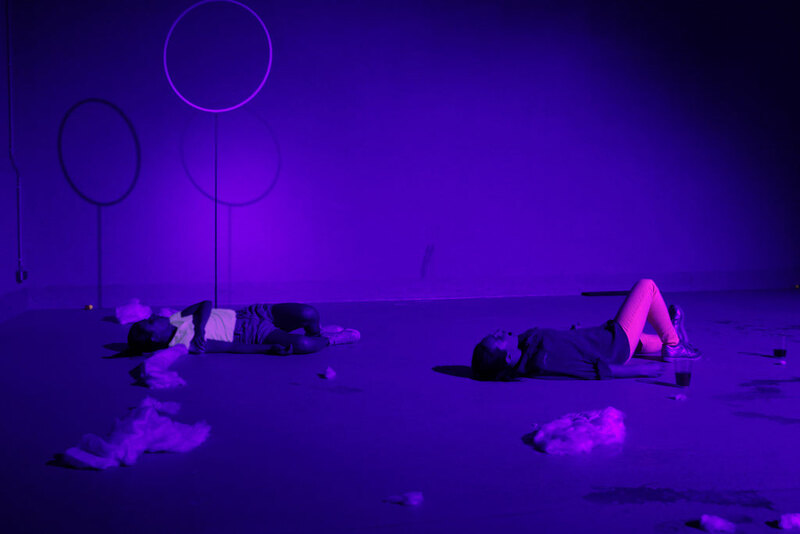 In Volume, performers Jasmin Hoffer, Sara Lanner and Liv Schellander explore the oral as a complex ensemble of organs and a multi-functional space. Both physically and performatively, they approach the oral space as a zone of encounter informed by reception, transformation and ejection. Multiple mouths are open, they are filled and stuffed, they articulate or move, they transform material and manipulate other bodies – the only thing they never are is shut. The social convention of keeping one’s mouth shut in public is reversed in Volume. 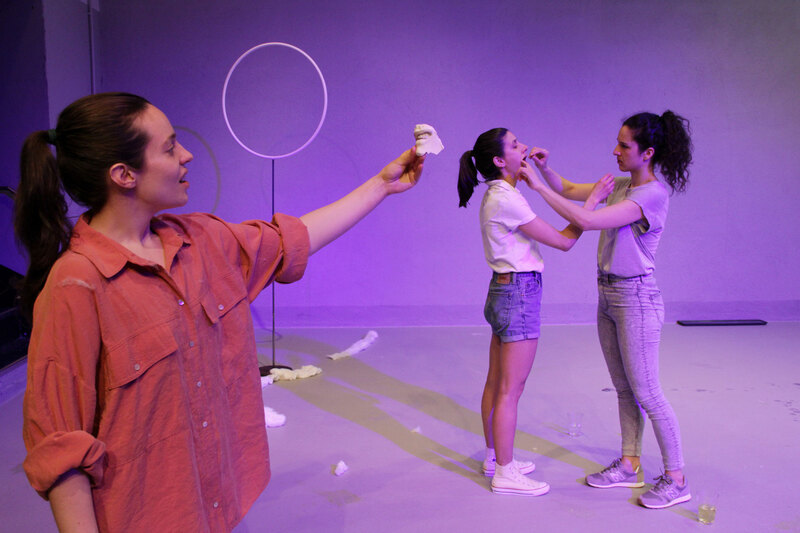 The three performers investigate which mouth positions are socially accepted and which are taboo. What happens when the mouth becomes not just the basis for but the protagonist of all kinds of actions, relationships and observations? Volume – in terms of both mass and sound – is a matter of space and its occupation or else its refusal in the sense of withdrawing to an interior space. Thus, the volume inside mouth, body and space is key in power relationships and relationships in general. They acquire space, visibility and attention using the oral cavity, its negative imprints and outward explorations. In Volume, the mouth is investigated as a threshold, a delimiting organ, rendering it a theatre in itself, where choreographies between the performers develop in collaboration and in ever-changing constellations. What or who is inside or outside when and how? 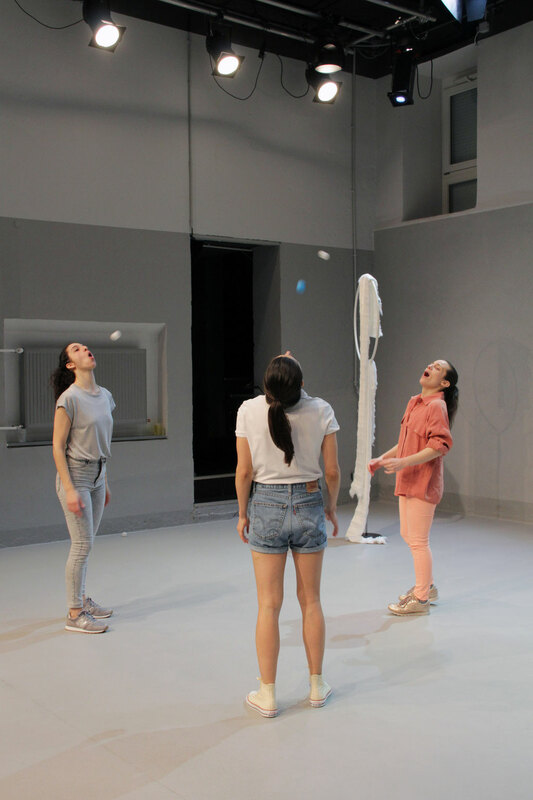 After showing an earlier stage of Volume as part of the Handle with Care series in January of 2018, Jasmin Hoffer, Sara Lanner and Liv Schellander’s piece premiered at the 2019 imagetanz festival. 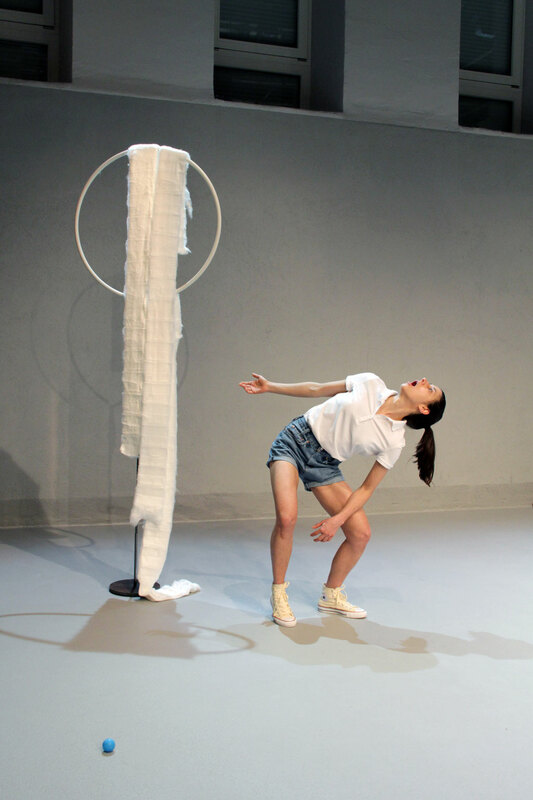 Jasmin Hoffer lives in Vienna as a choreographer, performer and dancer. In varying constellations and different formats, she collaborates with artists like Elena Kristofor, Alfredo Barsuglia and Laura Oriol. Most recently, she performed in the brut productions Swimming Pool and LOSS by Oleg Soulimenko. 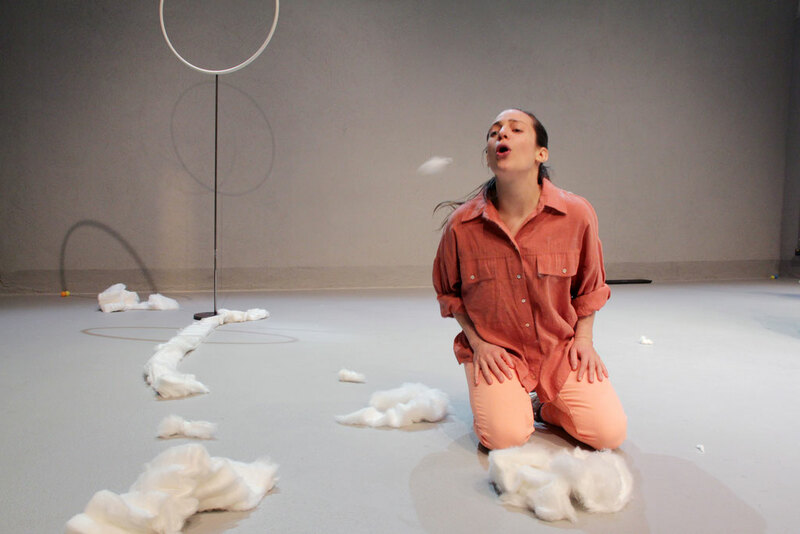 Sara Lanner is a choreographer, dancer and performer in the fields of performing and visual arts. 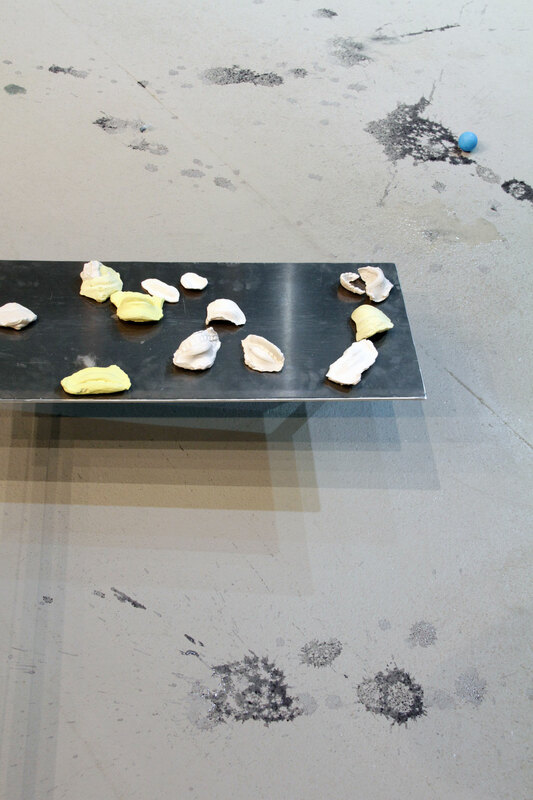 Her most recent brut appearance took place in WE WILL NOT LET YOU GO by Fanni Futterknecht. At imagetanz 2018, she presented her solo performance Guess What. 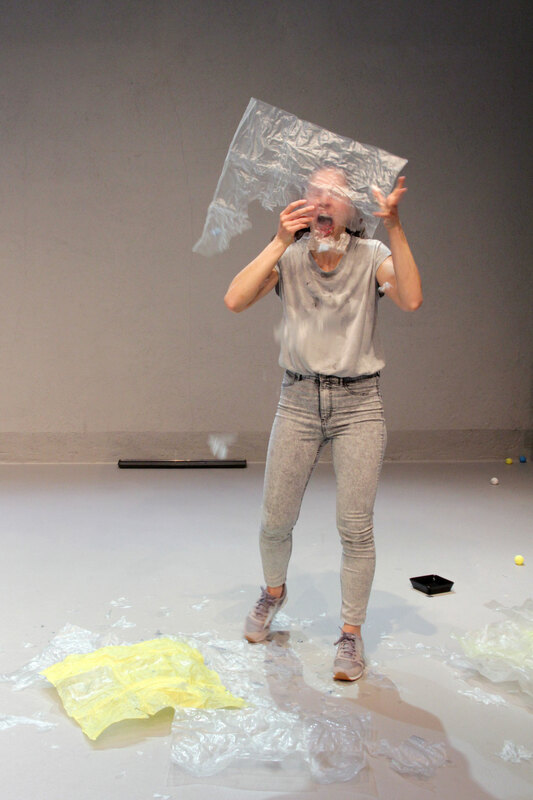 Liv Schellander is a dancer, performer and choreographer, who collaborates with various artists. She has been running the training and workshop programme at Tanzquartier Wien since 2018. 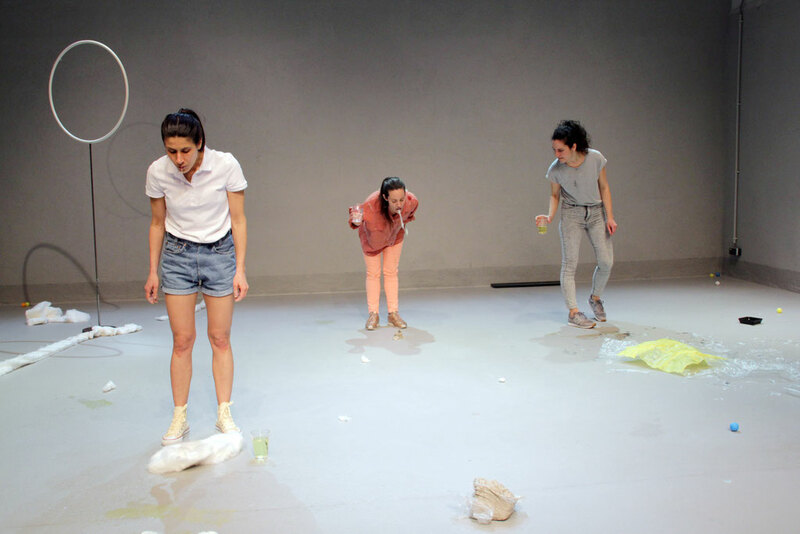 The brut audience most recently saw her perform in Veza Fernández’s When Eye Becomes Mouth. 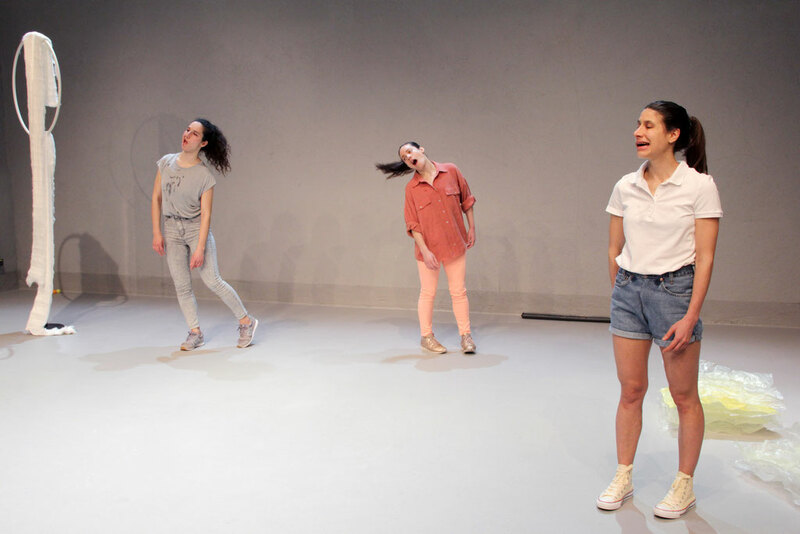 A co-production by Living Examples with imagetanz/brut Wien. With the kind support of the City of Vienna’s Department of Cultural Affairs, nadaLokal and Studio Matsune.